Ubuntu One is the personal cloud service that simplifies your digital life. Ubuntu one is such application bundled with Ubuntu OS which help us to keep in touch by sharing, buying, searching, manage file, data or music with other people using internet, ubuntu one serve new experience of data sharing. Imagine buying music and getting it delivered to the computers of your choice or synchronizing your files and notes and accessing them from anywhere. Or consolidating your computer and mobile phone contacts and safely sharing documents and pictures with them. Ubuntu One can already do this and more (https://one.ubuntu.com/). To start using this service we can go to http://one.ubuntu.com/account then create new account (user & password) and follow the instructions or follow theh directions in this link. A personal cloud to store, sync, and share your files. Ubuntu One Bookmarks (also called the Bindwood project) automatically synchronizes your Firefox bookmarks with your personal cloud and your other computers. You don't have to change anything about how you use bookmarks today because Ubuntu One works behind the scenes to keep everything in sync. Full Control with tomboy notes. Ubuntu One Notes is integrated with Tomboy, the notes application in Ubuntu, and automatically synchronize with your personal cloud and your other computers. You can also use the Ubuntu One website to browse and modify all of your notes. 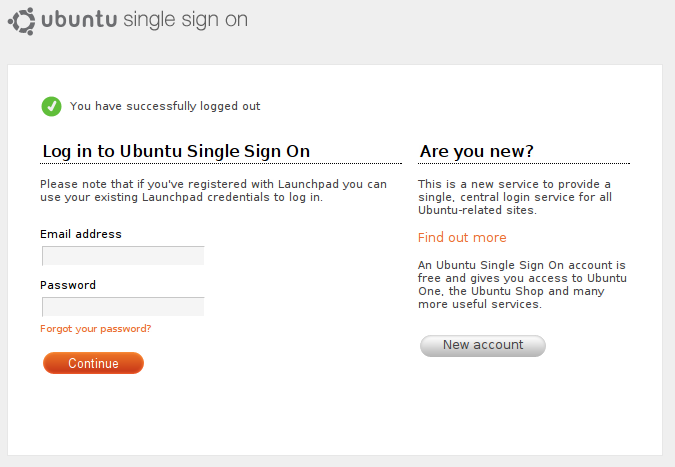 Ubuntu One now enables you to keep all of your address book contacts in sync with your mobile phone. No matter how many contacts you have, Ubuntu One will sync them all. 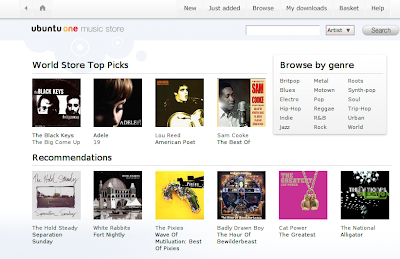 Ubuntu one made buying music like easiest before, through rhytmbox we can search and browse the newest music album until the most rare music album collection you will never see in the market. thats all my review of ubuntu one, for a conclution ubuntu (cononical) make a beautifull movement by this application don't be left behind then start using this amazing application :P.